I really enjoyed When Dimple Met Rishi I thought that it was cute and the perfect contemporary. I am so excited to read this book and see how everything pans out. I don't necessarily have expectations other than that there should be a couple of swoon moments. Thank you so much to Jonathan Ball Publishers for providing me with a gorgeous hardcover of this book! It was completely unexpected. Just a quick disclaimer for those reading this review. I have received this book for free. Please note that this does not affect my opinion in any way. All thoughts are my own. I never really got into the writing of this book. I found it strange that the book was told through letters that started off in the past tense and ended up being in more the present. I definitely think that the concept was unique but I didn't connect with the writing. However, there was a good flow to the writing and the dialogue definitely pulls the reader. I really enjoyed the plot. It was fun and relatable but also unique. 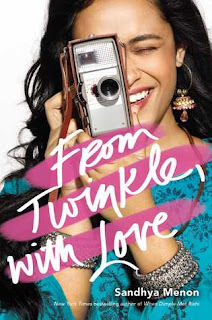 I really liked how Twinkle pursues her dreams with the help of her friends. I really liked how the friendship dynamics were explored. I also enjoyed how even though there was romance between Sahil and Twinkle, their friendship was the main feature of their relationship. However, with that all being said, I think that there was an unnecessary conflict in some scenes. 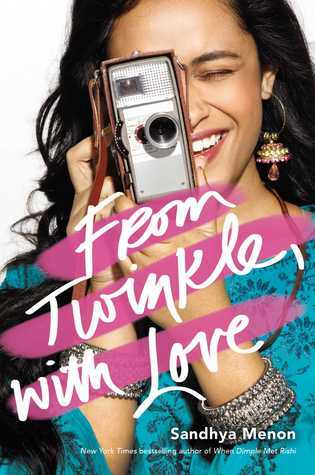 I understand that Twinkle was finding her voice but the way the author went around it, seemed strange and out of place. Twinkles obsession with perfection was kind of much sometimes, however, she was a likeable character and she was accessible. I disliked how she would sometimes talk about not having a voice but then she would silence someone else. Overall, I really enjoyed this book. It has the typical contemporary format but somehow Menon finds a way to make it unique to her stories. I liked how the dialogue pulled you but I struggled to get into the format of the book. I liked the plot for is uniqueness and relatability but I didn't like the unnecessary conflict that happened. This is the perfect book for aspiring filmmakers who are struggling to find their voice or for those who want a book with a happily ever after. Thank you so much to Jonathan Ball Publishers for providing me with a copy of this book!